Featuring a SATA III 6Gb/s interface and a powerful controller, Transcend’s SSD570K/SSD570KI is an ideal high-speed, lightweight and shockproof replacement for traditional rotating hard drives. With built-in Intelligent Power Shield (IPS), Transcend’s SSD570K/SSD570KI provides extra protection to data integrity against sudden power failures or blackouts. 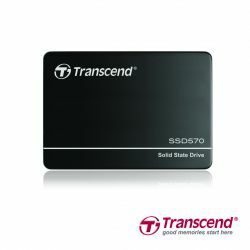 Using SLC NAND flash chips, Transcend’s SSD570K/SSD570KI ensures superior performance and reliability for industrial-grade applications, such as embedded automation computers, engineering machines, and fanless PCs. The SSD570KI has a wide operating temperature, allowing sustained functionality and reliability in extreme temperatures.